The Prime Minister suffered another big defeat this week after MPs voted by a margin of 149 to reject her Brexit divorce deal. Following last night’s crunch vote, industry bodies have expressed concern that the Government’s defeat has plunged farming into even deeper uncertainty, with FUW president Glyn Roberts calling for Article 50 to be revoked. The Prime Minister and her officials have been working since January to secure key concessions on the backstop in the Withdrawal Agreement, while leaving the substance of the rest of the deal unchanged. You can find out what the backstop and the Withdrawal Agreement would mean for farmers HERE. At one point, it had seemed almost possible for the Government to overturn the 230-strong majority in the House of Commons against the deal, but when the Attorney General, Geoffrey Cox, issued legal advice which said there was a still a risk the UK could remain trapped in the backstop against its will, the tide began to turn against the Prime Minister. The ‘Star Chamber’, made up of pro-Brexit and DUP MPs with legal training, delivered the fatal blow shortly after by recommending MPs vote against the deal. A joint statement from the presidents of the NFU, NFU Scotland and the Ulster Farmers Union warned the continued uncertainty was having a huge effect on farm businesses. “The outcome of the vote means there is no realistic possibility of achieving an orderly departure from the EU on March 29,” the statement said. “Therefore some sort of extension of the Article 50 deadline will be necessary. It is critical that the Government and MPs identify a clear strategy to secure Parliament’s support for a negotiated Brexit deal between the UK and the EU and use any extension of Article 50 constructively. We cannot simply delay the prospect of no deal. 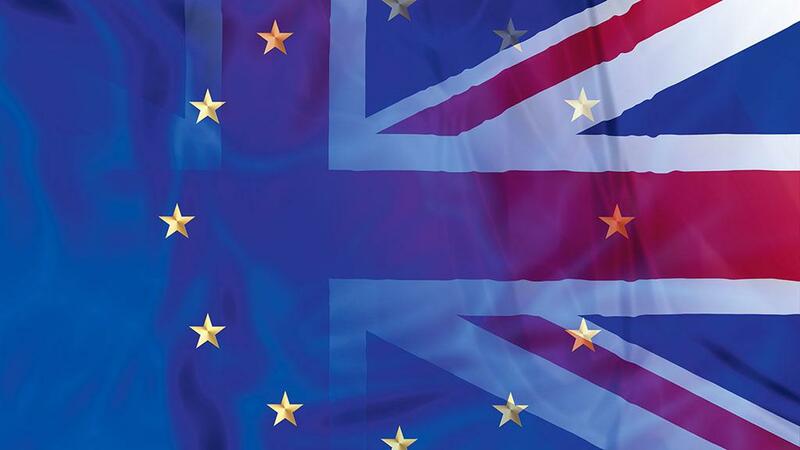 FUW president Glyn Roberts said: “This outcome is hardly unexpected, and it is now essential that Parliament votes on Wednesday to oppose leaving the EU without a deal, and on Thursday for an extension to Article 50. "While the Government’s motion proposes a ‘short limited extension to Article 50’, the FUW believes negotiating any such extension with 27 member states before March 29 places us in an extremely weak position, and may simply see us returning to the same debates and deadlock in a few months’ time. NFU Cymru president John Davies said it was clear the Government had now ‘reached an impasse, with the Government unable to get the most important piece of business in half a century through the Commons’. “After two and a half years of damaging uncertainty we now face the real possibility of a cliff-edge Brexit, something once considered to be an incredibly remote possibility,” he added. “We are now just days away from Brexit, and faced with deadlock between Government and Parliament. If unresolved this will see us depart the EU with no deal in place, something which is completely unacceptable to our members. Chief executive of food and farming alliance Sustain Kath Dalmeny called on MPs to reject a no-deal Brexit now the deal has been rejected. “Food producers and farmers would potentially face huge tariffs on their exports, our food supply chains would be interrupted, and the hardest hit would be the most vulnerable who cannnot afford to prepare, or who are dependent on public services or charities for their food,” she said. What were the backstop concessions? A ‘joint interpretive instrument’ has been drawn up which has the same legal weight as the Withdrawal Agreement itself. It provides legal reassurance on the temporary nature of the backstop. Both sides have committed to develop technological solutions by 2020 to ensure the Irish border does not become ‘hard’ in a ‘joint statement’. A ‘unilateral statement’ from the UK Government has been put together which sets out how Ministers could plan to leave the backstop if the EU acts in ‘bad faith’. The Prime Minister has already promised two fresh votes which will take place on Wednesday and Thursday this week. On Wednesday, MPs will be given the chance to block a no-deal Brexit from taking place on March 29. If no-deal is rejected, on Thursday, they will be given an opportunity to vote to extend the Article 50 process, but this requires unanimous support from the EU27. Question marks remain about how long such an extension would be, with EU Commission President Jean-Claude Juncker stressing the UK would need to participate in the European elections which take place on 23-26 May if it remained a member at that point. It is also unclear whether the EU would attach any conditions to an Article 50 extension, as the Prime Minister told MPs a second referendum may well be a prerequisite for the EU to back such a move. Even if an Article 50 extension is granted and a no-deal Brexit is blocked on March 29, it would still be possible for a no-deal scenario to occur at the end of the Article 50 extension. Concentrate on the things we can control ourselves and never vote for these politicians ever again. MPs have told us in their own way that they are not capable of running the country. After 40 years of EU over governance the UK politicians remember only how to cash their salary cheques and not what they are supposed do for them. I can see No deal being voted off the table today, then an Extension to Article 50 being voted for on Thursday. Followed by another Referendum, then probably a General Election! Sack the politicians and stage a coup led by HM The Queen (for governance), vintage machinery enthusiasts (for practicality) and agricultural show stewards (for timekeeping). All bases covered.